By Gary Anderson First Posted at Talkmarkets. Let me say that Larry Summers certainly holds to the Democratic Party mantra of job creation through monetary policy. However, he really could care less about jobs, in my opinion, when push comes to shove. Larry Summers cares about banks. 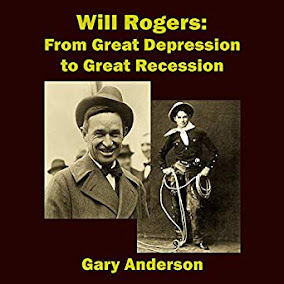 And low interest rates insures that banks remain functioning, as they skate on thin ice, like Will Rogers once said about the state of banks in the Great Depression. You cannot have a 25 basis rate hike without putting the banks on thin ice these days. That is the Summers' message. And China just cut their funds rate .25 percent and our stock market in the United States rejoiced for a while. Talk about thin ice. From time to time, the Fed and its cronies scare everyone. And maybe those who are not actually cronies, chime in. Certainly this issue of lack of liquidity is scaring people. Articles abounded in the second quarter regarding this coming liquidity crunch. Yet when push came to shove, China was able to unload a hundred billion dollars worth of treasury bonds through Belgian dealers. No crisis there. So what is really going on? From a distance we need to distinguish two issues. Another bubble bursts and the chart don't lie! That is a basketball term, folks, ball don't lie. But in this case you can see that the bubble has burst in farmland, and it could just as easily burst in housing in the near future. TULPS, remember those? Dutch, a bubble is a bubble. Be very, very afraid. Greenspan warns about bond-market bubble -Is He Lying? Alan Greenspan says we are in a bond bubble. Of course, he wants people to sell their bonds because there is a shortage of bonds for use as collateral. Also, he wants borrowers from the big banks to believe that interest rates will rise so they give up their floating low interest side of the bet for the more "secure" fixed higher interest rate. The banks take the low floating side because they know rates won't go up anytime soon. Donald Trump is not presidential material. He is offensive, xenophobic and maybe even racist. Megan Kelly is right that he offends women, too. But she is so self important that it is hard to choose her over the Donald as to personality fails. Still, since Republicans in general seem to attack women, as if they have some sort of pseudo religious duty to do so, Trump piling on to women increases that offense. The Republicans don't mind alienating half the voters as if they are the man party? Too funny if it wasn't just pathetic. But on other issues, Donald Trump is speaking to the failure of America, the failure of policy as it attacks the middle class. He is speaking to the failure of big capital to give the United States of America a fair shake. Donald Trump Says He’d Deport All Undocumented Immigrants From U.S.
Donald Trump, who previously said that he would not consider booting out illegal aliens who are now here, has moved to the dark side. I had agreed with him that guarding the border more vigorously was a good idea. But he has advocated much more, seeking to boot out millions of people who have been educated in our schools, and can contribute to economic growth in our society. If Trump thinks that there is going to be no economic growth, that may be where he is coming from. But the economy is slowly growing, not by much thanks to the Federal Reserve Bank's policy of not taxing banks excess reserves. But Trump is talking like the pie is getting smaller or will not get much bigger, and these people need to go, even though most do work Americans would not do. Linette Lopez of Business Insider misspoke about Puerto Rico's Tax Break policy. She basically stated that Puerto Rico let the policy of tax breaks for American corporations end. Yet it is clear that the United States government repealed the tax break. This oversight is very disturbing. There were many comments by readers making Linette aware of the fact that the tax break was repealed by the United States government, yet she made no attempt to correct her article even into the next day, 3 AM, 8/8/15 EDT! This is a conspiracy, in my opinion, to set people off against the territory of Puerto Rico, to form and shape public opinion against that territory in a dirty and underhanded way. The article was carried by Yahoo and at least the headline could have been seen by potentially thousands upon thousands of people. http://www.talkmarkets.com/content/global-markets/29-page-memo-proves-greek-parliament-is-puppet-government-run-by-germany-devil-details-and-eu-guarantees?post=71113&uid=4798The government of Greece is being micromanaged in very evil ways by Germany. Greece has no sovereignty, they gave it all away! Ford’s Compact Car Production Leaving Michigan And The USA — Can You Guess Where Ford’s Going Instead? So, poor Ford can't make enough money and has to move its Focus plant to Mexico? Please, give me a break. I have noticed that Ford has improved some products, but not others. Some of the products cut corners and it is obvious. I was shopping for a car with my daughter and she ended up going with a Nissan because Ford lacked cosmetic quality. Stuff was falling apart. So, Ford needs to put a better product out, rather than risk putting an inferior product out with workers who will start out unfamiliar with it. I am not saying the workers in Mexico would do a bad job, they will certainly learn to do a great job. But they aren't buying the cars. Americans are. So Ford, leave the jobs in America where your customers are! This article from Tyler Durden (Zero Hedge), is a real eye opener. Fake trades are tolerated by governments until they are used to depress the price of stocks. They should be forbidden across the board, both on the way up and on the way down, but they are not. Still, China has decided to go after the fake trades and shorts. It will be interesting to see if this one way (down) enforcement causes a massive bubble down the road when people become confident that the government can cause stock markets to never crash! resistance among the Jews of Europe." I posted this article because Jewish people in Europe should be commended for resisting this secret agenda of Zionism (Zionism is NOT Judaism). The secret agenda is to fuse right Nazi types with Jewish people and non Jewish Zionists to hate all Muslims and fight them. But the Jewish people of Europe are resisting. We should all follow their example and stand up against the bigotry! BaFin, Germany's financial "watchdog". The document contains voluminous evidence which suggests that not only did Anshu Jain (who stepped down last month), know full well that his traders and submitters were likely involved in manipulating LIBOR fixes, but it was in fact Jain who "reorganized the seating order in the trading division in London in the year 2005, which resulted in traders and submitters sitting together, [in order] to achieve an open communication between both functions, especially also with regard to the LIBOR." The report goes on to describe the relationship between Jain and Christian Bittar, the bank’s rate rigger... Gary here: If anyone thought that the Eurozone was an ethical organization only needs to understand that banksters get off there just like here in the US.